With the slab fully prepped for finish it was time to apply the dye. With Iowa sunsets as my inspiration, I chose to use orange, pink, and purple colored dyes. 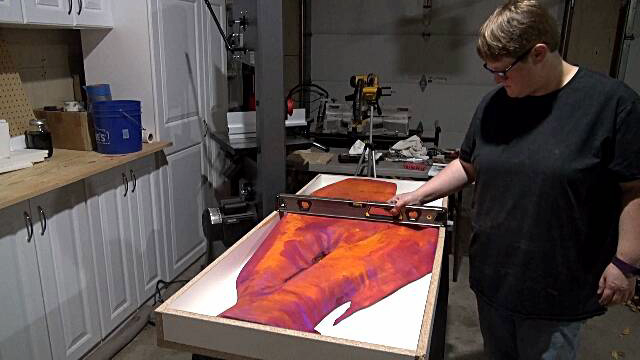 In order to make the colors blend and form naturally as they do in a sunset, I diluted each dye with water and then poured them on top of the slab. 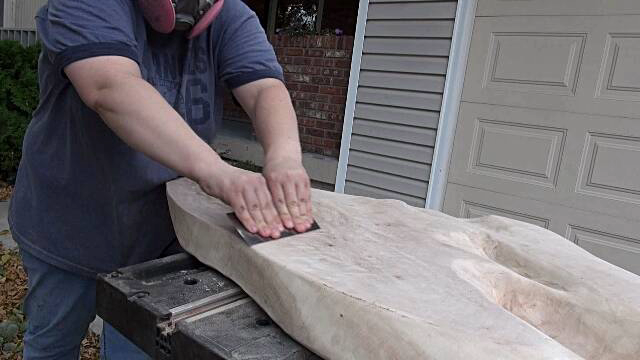 The dye followed the natural curves of the slab with a little assistance from me rocking it back and forth to ensure dye covered the full slab. 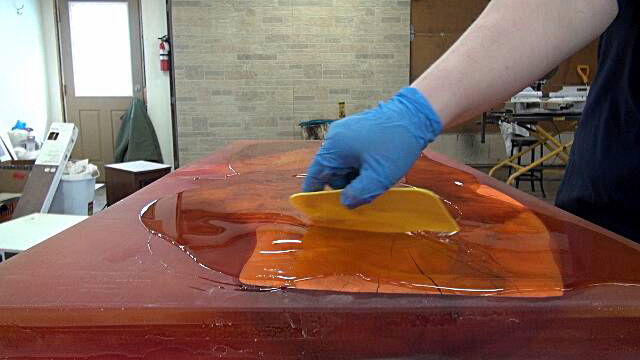 Now, I will admit that it was difficult to apply dye to the slab. 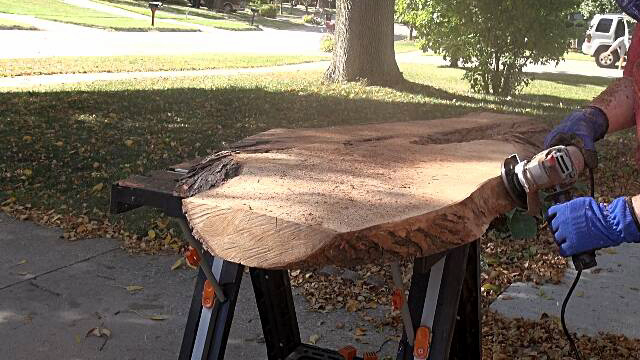 This maple wood had beautiful natural wavy grain full of chatoyance. However, I decided to take the risk, perhaps with my eyes closed a bit. With the legs completed it was time to finish the table top. Starting with 120-grit sandpaper and working all the way up to 3000-grit, I sanded the resin top to a crystal clear finish. This project took 9 to 10 months to complete. It repeatedly was placed on the back burner while projects with tight deadlines stepped in. I could’ve rushed it and tried to push the limits of working with resin. However, I’m so glad I didn’t. The table turned out better than I could have ever imagined. Below is a full video of the build process. See below for a list of tools and materials used during this project.